Unless you are able to measure your email campaign, results would remain be unexpected. Irrespective of the optimization you have performed on your campaign, efforts go futile if you haven’t set goals to achieve. The great thing with email marketing is that this is one of the most measurable marketing mediums if done with right setup. Marketers can track every email on the parameters like how many people opened it, how many clicks occurred, where in the email they clicked, how they interacted with your website, and how much revenue each email marketing campaign generated. A brief guide here takes you through the metrics you should care about. Popularly termed ‘CTR’, the metric is defined as ‘the percentage of email recipients who clicked on the email links accommodated in a given email. For instance, if you have sent 10,000 mails and got 500 total clicks on the links contained in the email, your campaign CTR would be 5%. CTR is the topmost metric that a marketer should start measuring just after shooting off an email marketing campaign. It lets you easily calculate performance for every individual email you send. Needn’t to say, CTR is a very crucial metric as it gives marketers a clear insight into how people are interacting with their content and how much they are interested in their brand or offerings. This is another important metric to measure the might of your email campaign. ‘Conversion rate’ is the percentage of email recipients who not only clicked links within an email but also completed a desired action. These actions could be as filling out a lead generation form or purchasing a product. For instance, if in response to 4000 mails sent, 400 people completed the desired action, the conversion rate would be 4%. Once the recipient clicks through a link on your email, your next goal is to see him perform a desired action. This is the action that your recipient is asked to take by using one or many call-to-action buttons given. In case you’re sending an email campaign to tell your audience registering for an event, every genuine registration form filled would be a conversion indeed. To get the better insight into conversion rate, better to integrate a web analytics tool to your email marketing platform. Next in the list of campaign metric is bounce rate. The Bounce rate of an email campaign is the percentage of total undelivered emails that couldn’t make it to the recipient’s inbox throughout an email campaign. For example- if 90 emails out of 10,000 total emails failed to make it to the inbox and remain undelivered, the bounce rate would be 0.90%. Soft bounces occur when they stand undelivered despite valid email addresses due to temporary problem, such as a full inbox or a problem with the recipient’s server. These undelivered emails are stashed in the recipient’s server until the problems get cleared. You may, however, try re-sending your email message to soft bounces. Hard Bounces occur when emails sent to the recipients fail to reach their inbox due to invalid, closed, or non-existent email address. These emails will never be delivered successfully. If your email campaign throws hard bounces, it’s recommended to immediately remove hard bounce addresses from your email list. Since internet service providers (ISPs) use bounce rates to establish a sender’s reputation, too many hard bounces can tag your company a spammer in the eyes of an ISP. This is the rate at which new subscribers are being added to your email list. In addition to the metrics explained above, the size of your email list is also a significant factor you should be keeping a close watch on. Marketers should be decisive on taking steps to grow email list in order to expand the audience, and position themselves as an industry thought leader. As the audience is the staple food of any email campaign, it's more important than ever to put efforts to growing your subscriber list. As the name implies the metric calculates the percentage of email recipients who took interest sharing or forwarding your email content to their network. This metric, though may not seem all that significant, they can help you generate new contacts to your email list. The reason is pretty obvious. People who are already in your list may add to the conversion rate, but this wouldn’t be helpful in generating new customer base unless they pass on your email further. Encourage your readers to forward / share your email to a friend or colleague if they found the content useful, and start tracking how many new people you can add to your database this way. As the name implies Open Rate is the percentage of email recipients who open a given email. Most email marketers optimize their email campaigns to achieve a maximum open rate. Notably, Open Rate is quite a misleading metric. Here is why- an email is counted as ‘opened’ if the images attached with the mail are also received by the recipients. However, as email users likely have an image-blocking enabled in their email client, embedded images don’t get opened even if recipients open the email. This leads to the inaccurate marking of open rate and unreliable metric for marketers. The metrics says about the percentage of subscribers who unsubscribed your newsletter for one reason or the other. Like open rates, unsubscribe rate is also an unreliable metrics. This doesn’t paint the real picture of your email list. There could be the cases that some of your subscribers just stopped opening and reading your emails rather going for formal unsubscribe process. So, dropping open and click rate doesn’t always an indication that you’re losing subscribers. 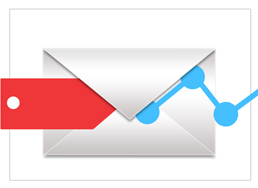 These are 7 key metrics that concoct an email campaign’s success. You should be smart enough while tracking metrics. As long as you're able to determine each of those metrics, you could reap great profits out of the email campaigns.